If you are ever unfortunate enough to have water damage to your home and need water restoration work done, think twice before you call Immediate Response Restoration at 800-956-1212. I believe Immediate Response Restoration is affiliated with Emergency Services Restoration. This San Jose Real Estate Agent had the misfortune of gray water backing up into my home causing substantial water damage. This occurred on October 4, 2011. Apparently Immediate Response Restoration hires local San Jose contractors to do the tear out and renovation work. Using their contractors is strictly optional. Having had a bad experience with State Farm’s preferred contractors in the past, I felt I may be in better hands opting to use their contractor. I was wrong! Following the tear out, I received an invoice for $2,094.74. I asked the contractor, Sean Silva, for an itemized statement which I would need to submit to my insurance company, State Farm. He said that he would need to get it from Immediate Response Restoration. I thought this was odd because he is the one that created it. I believe he was simply too lazy to copy and/or scan it and send it to me. It was his way of making me to his work. I finally called the number listed on the statement 800-956-1212 and spoke with Chris at Immediate Response Restoration. I eventually received the itemized statement. It was scanned and sent to me via email. The following is what I received. What is a service call? Why consumers are not advised they will be required to pay $162.40 if a contractor steps foot on the property is a mystery to me. Are contractors expected to disclosure this upfront? I would certainly think so. I do not know what was masked and covered. This remains unanswered. There was no air fan installed. Ironic is shows for 2 days when 1 worker was on site for less than 8 hours. Another interesting point is that the contractor, Sean Silva, of Silva Custom Construction, is listed on the California Contractors State License Board website as a sole owner with no employees. Who was that person who did the tear out? Who does he work for it if was not the contractor? Haul Debris – I watch Sean put a few bags in the back of his truck together with the broken down vanity. The sink and some carpet is still in my garage. Per pickup load … charged for 2 and there was only 1 – actually one-half a load! Cleaning Technician – really? Who might that have been? A total of 16 man hours were charged when only one person worked for less than 8 hours. Personal protective equipment – for what? This was a tear out job. The dryer and the washing machine had already been removed by my plumber. 5 hours to demo a 28.44 SF laundry room floor! Water extraction was done by another company. Opps! 1 hour to cut once section of drywall. The baseboards were removed when the carpet was torn out the night of October 4, 2011 when the plumbing backup occurred. and tile flooring, including base board. 6 hours to demo a 28.88 SF floor, remove a vanity and cut 3 walls? These issues were raised with Immediate Response Restoration. It escalated up to the President, Dan Hartwell. We held a conference call on Friday, 11-18-2011. As far as I know, present on the call was Chris, the manager, Sean Silva, the contractor, the President, me and possibly others. Dan Hartwell was so rude to me at one point I disconnected the call. Yes, that means I hung up the phone. Those characters have robbed me of enough of my time. Adding insult to injury they attempted to rip me and/or State Farm off with their over-inflated and erroneous invoices. Expecting me to listen to him BARK and be rude with me is simply out of the question. I am not on his payroll. If I were, I would still not tolerate anyone being rude to me especially when I am offering my time to help resolve their issues! Dan Hartwell offered to discount the $2,094.74 bill to $1,271.57. I am not sure how he arrived at that number. He offered this without addressing the many unanswered questions regarding items on the invoice. He alluded to some concession his Vice President already made regarding the sheet rock work by Sean Silva of Silva Custom Construction. He also inferred that he was doing me some kind of favor. Really – I think not! I explained to Dan Hartwell that I had no intention of paying for work that was not done. I further explained that I am not interested in making any money off the claim that, in fact, I am already out of pocket thousands of dollars. To that end, I am not about to accept a concession of a discount when a discount had not been given. The only way we can “discount” is if the work was actually performed and not paid for. We are addressing costs for actual work done. To that end, there would be a full accounting of what I spend and reported to my claims adjuster at State Farm. It would be insurance fraud to collect more than what I spend over and above what the insurance company authorized for repairs under my policy. I alerts my State Farm Agent and the claims representative that I continue to work with Immediate Response Restoration to get an Amended invoice which reflects the actual work done rather than the a falsely discounted invoice for work that was not done. Homeowners Beware. 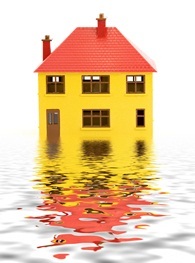 If you find yourself in need of water restoration services from water damage be mindful of who you call. When these events happen we find ourselves under enormous stress. We may fail to ask questions we would normally ask and find ourselves trusting a little more than we should. In the moment we may feel like we are at their mercy. That does not mean they can over charge us or charge us for work that was not done. This sounds like a horrible experience. There are so many bad contractors. It seems almost impossible to find trustworthy and reliable people these days. I’m sorry this happened to you. I’ve had so many bad experiences with contractors … it seems impossible to find really good contractors that do their jobs well. I’ve had a similar issue in my home. Finding good, trustworthy contractors seems impossible these days. It’s not bad enough that our home was damaged but when we end up with a bad contractor who is supposed to restore … it make the entire ordeal an even worse nightmare.